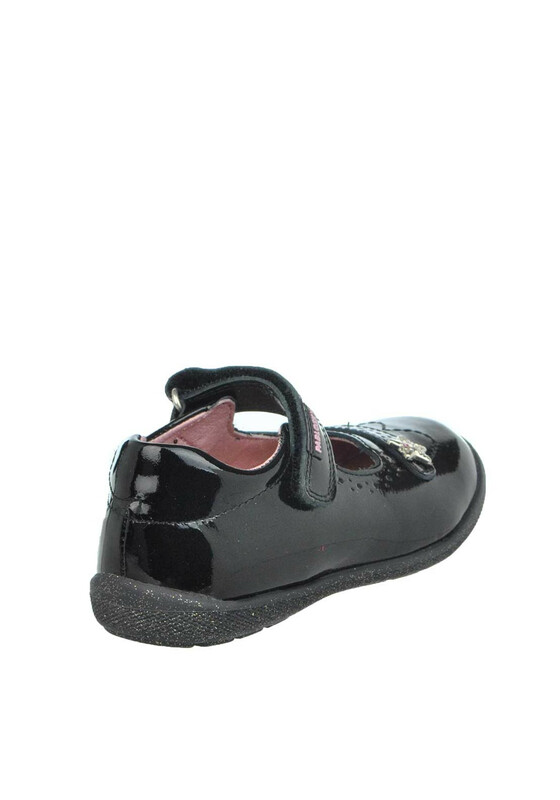 Your little lady will look so smart in these beautiful black patent leather pumps from Pablosky. Featuring a silver star on the front with laser cut out detail, Pablosky branding on the Velcro strap and a gorgeous glitter rubber sole. Perfect for a special occasion with a dress and tights.